You will be accompanied by a private guide / chief guide who will be responsible for the smooth running of your trip. After breakfast you will be transferred from your lodge to Arusha Airport where you will board a Private charter plane to Kuro Airstrip in Tarangire National Park. 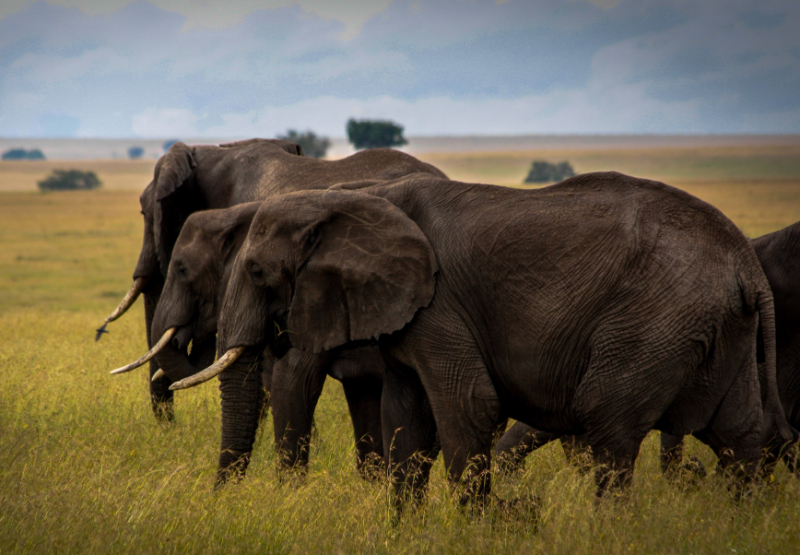 With its remote location and thriving wildlife, Tarangire is a hidden wonder. Measuring 1,600 square miles and named for the life-giving Tarangire River that flows through its core, this is Tanzania's fifth largest park. Most famous for its massive elephant herds and giant baobab trees, this park hosts an annual "mini-migration" of sorts and offers the perfect setting for photography. During the dry season, huge masses of animals stream into the park for its perennial water supply. You will be met by our representative guide who will be ready to take you on a game drive safari through this magical park. Imagine hundreds of zebra stripes reflecting in still waters. Imagine the looming silhouette of elephants burnt into the crimson sunset. 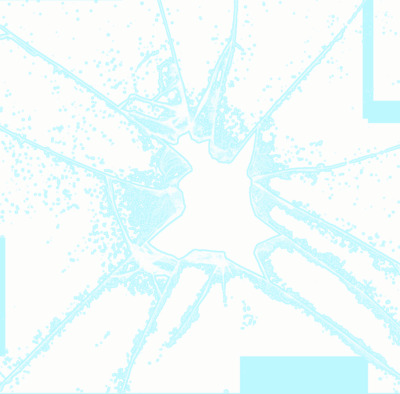 Imagine the sight of ghostly baobab trees scattered across shimmering grasslands. 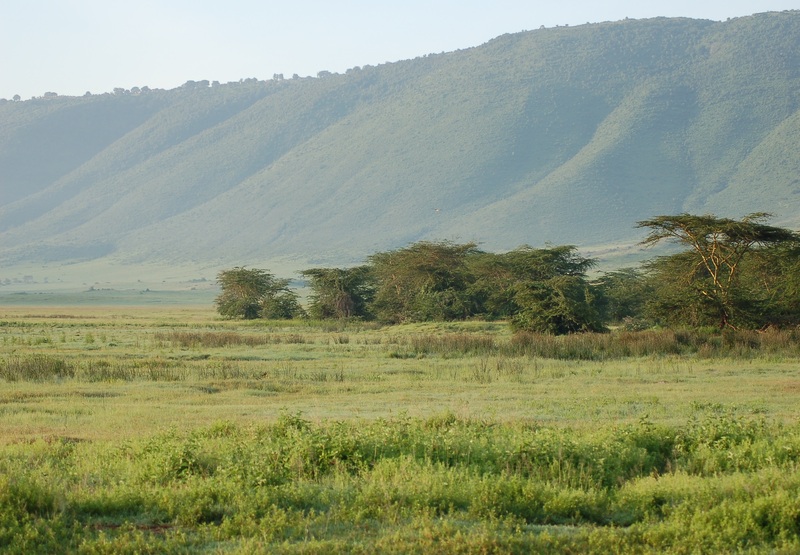 These features are not figments of imagination - these features are just a taste of what Tarangire is all about! You will then be transferred to your lodge on the outskirts of the park arriving in time for dinner and overnight. Accompanied by highly trained and professional guides, walking safaris offer guests the rare chance to get up-close and personal with the `little five`, as well as learn about the relationship between flora and fauna and the medicinal values of the plants that thrive in the reserve. A highly educational and uniquely enlightening experience, walking safaris follow the tracks, sights, smells and sounds of animals big and small into the wild of Africa.The walks are normally run for 3 to 4 hours. The privilege of walking in these natural areas gives you an exhilarating feeling of adventure. Although you'll usually get close to large mammals such as elephant, giraffe, buffalo or even lion, walking safaris are very safe. The experienced guides and an armed national park ranger will accompany you on every walk. Walking safaris can take an hour or a whole morning or afternoon, letting you discover the most remote parts of Tarangire. You will return to camp for some freshly made hot lunch and an afternoon siesta as you await to go out again for a evening/ night game drive! Tour a traditional Maasai Boma and learn about the proud and fascinating Maasai culture. A village chief will provide a tour of the Boma and explain their beliefs and way of life. You may watch or take part in a traditional dance. Pictures are welcome inside the Boma. There are several Maasai Bomas that our guides have relationships with. The location provides for convenient access but is still far enough off the beaten path to avoid the main tourist circuit. A Maasai village tour can be incorporated into any itinerary. This tour you will be told about tribal customs and the methods in which they build their dwellings. 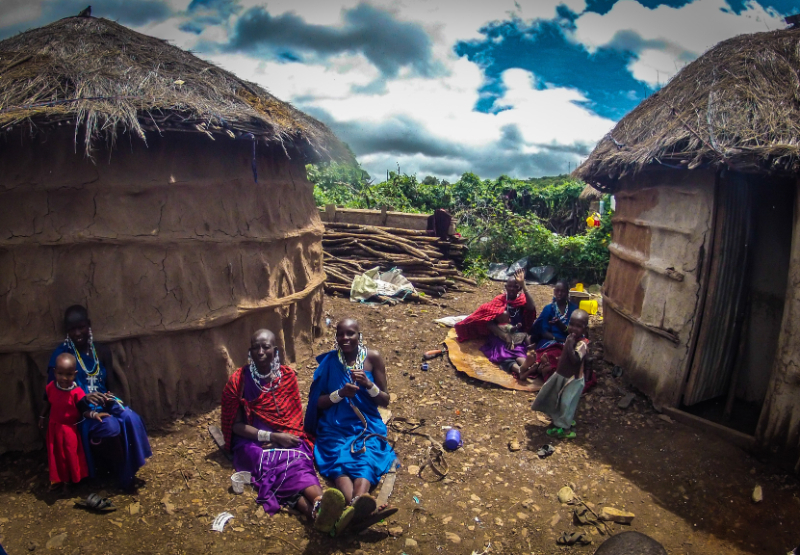 The village we visit still preserves the traditional Maasai way of life and you will be enthralled by the truly wonderful and inspiring tales that these people will tell you about their history and way of life. You will also get a chance to learn how the Maasai women make their beautifully coloured and intricate jewellery. The money raised from the sale of their traditional jewellery goes directly back into the local community. In addition, when you join our Maasai Mara safaris you will be able to watch a traditional welcome dance – something truly special that is sure to become a lifelong memory. After a beautiful day exploring the bush, the tranquil shores of Lake Manyara invite you to watch as the sun sets with drink in hand. The lodge will prepare a private sundowner for you on the edge of Lake Manyara where you will enjoy beautiful views of the sunset. Sit back and take in the beauty of the nature all around you. You will have an opportunity to discuss about your day's activities and share each others experience. After the sundowner you will head back to the lodge where a freshly prepared meal will be waiting for you, sit and enjoy your dinner in a 5 star hotel setting. After dinner you may sit around the bush fire before retiring to your rooms for a well deserved overnight sleep. Early morning you will depart from your Lodge and head out for a game drive. Morning game drives start at 6.00am giving you the best chance to see animals moving around as the sun comes up before the heat of the day drives them to shade. It is an excellent opportunity to see elephants going for an early morning drink and catch a hippo returning back to its pool. Our game drives bring you close to some of the world's most magnificent wildlife so that you can experience a truly African adventure. More than that, we aim to build your knowledge of wildlife and habitat during your stay, as our guides give you wildlife knowledge during your drives. The legendary wildebeest migration thunders through Lobo twice a year including July and August (during the northward migration) and September through November (during the southward migration.) Famous Mara River is the place where most of many documentaries that are shot to document great migration crossing the river. 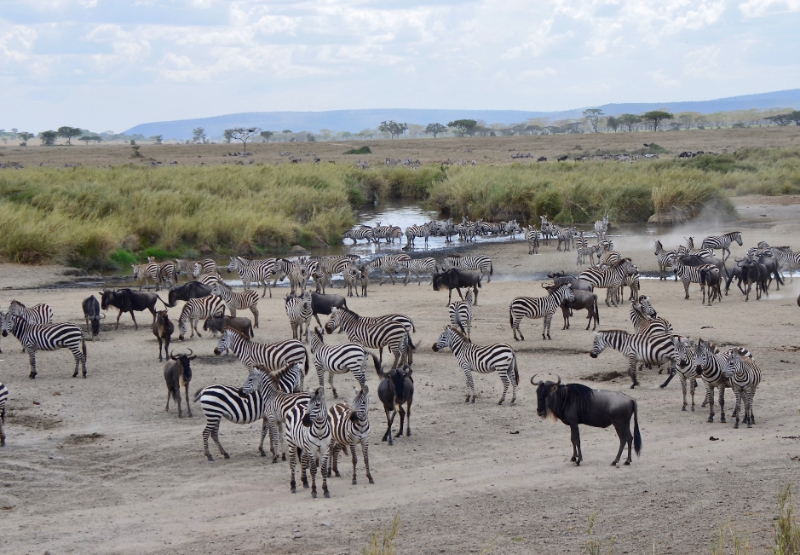 Crossing the river is also probably the most dramatic event in great migration story. A scenary to remember. After breakfast you will leave your camp/lodge for the transfer to the Serengeti airstrip. 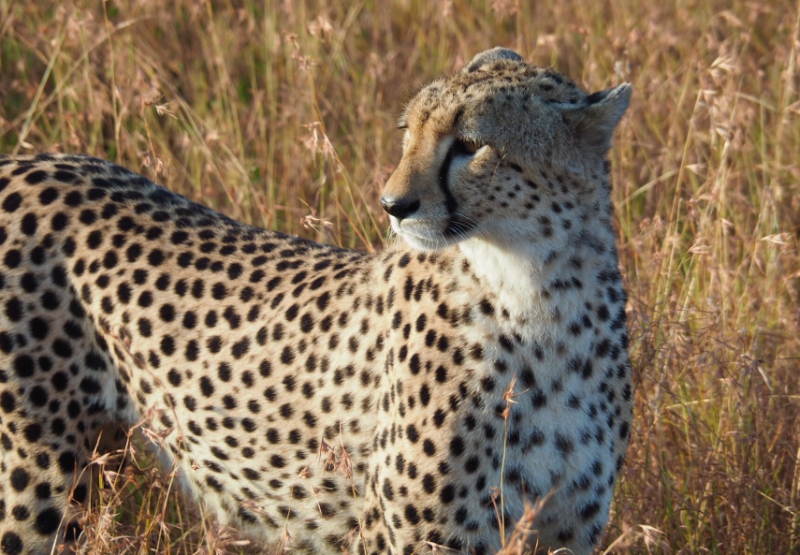 You will enjoy an early morning game drive enroute stopping for last minute game viewing and photographing. You will be required to arrive at the airstrip atleast an hour before departure time. The flight usually takes about an hour so sit back and enjoy the scenic flight over the Serengeti plains and onto Arusha. 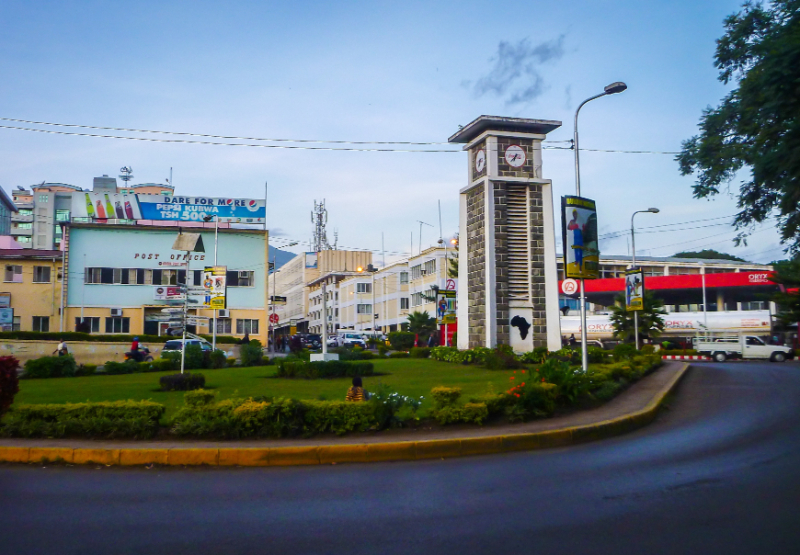 Upon arriving at the Arusha airport, you will be met by an East African Voyage representative who will pick you up and transfer you to your next destination. You will have day rooms reserved at the hotel to relax and enjoy the day as you wait for your evening flight out of the Kilimanjaro Airport. This luxurious lodge is set on the grounds of an expansive coffee plantation on the outskirts of Arusha, Tanzania’s ‘safari capital.’ The 30 individual guest houses are nestled among the evergreen coffee plants and the interior design of the houses also reflects the lodge’s coffee theme. The houses are comfortable and intimate and all have en-suite bathrooms. The main common area has a cozy restaurant and bar, with open log fireplaces that add to the exceptional ambiance of the lodge. Arusha Coffee Lodge is the perfect place to relax before or after a safari. This exclusive lodge lies in the migration corridor between Tarangire National Park and the bird-rich waters of Lake Manyara. Chem Chem Lodge is nestled in an oasis of palms with stunning panoramic views of the Rift Valley’s western escarpment. Walking safaris and bird watching excursions are available. The lodge consists of eight luxurious tents each with an elegant bedroom, reading room, full bathroom, outdoor shower and wooden deck area, perfect for evenings by firelight. Other facilities within the camp include a dining room serving gourmet fusion cuisine, lounge, library, sundeck, swimming pool and spa. 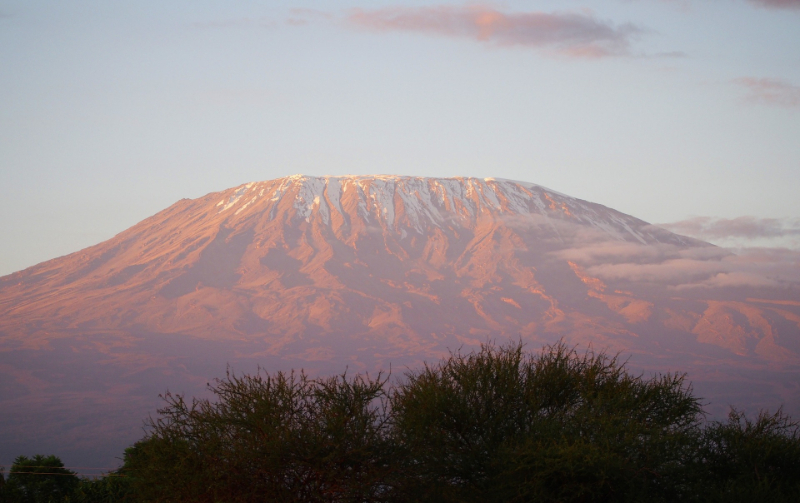 The Highlands redefines the Ngorongoro experience. 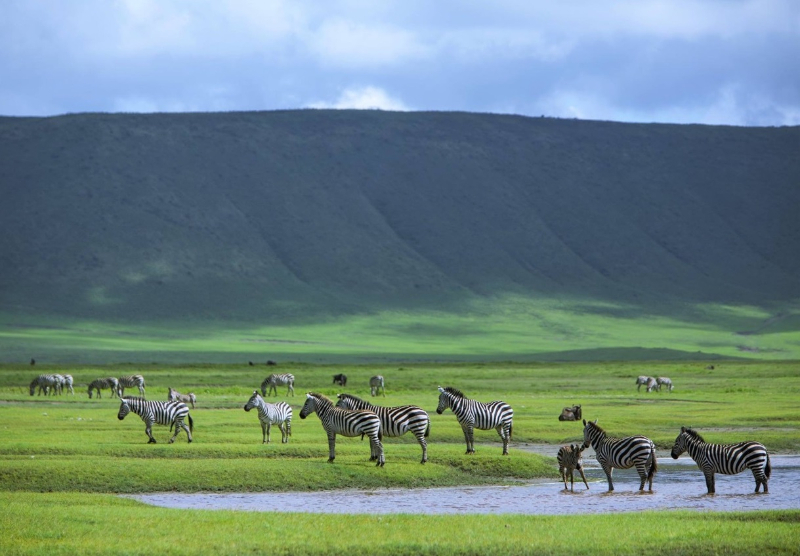 Set on the edge of the mountain forest hugging the Olmoti volcano to the north of Ngorongoro Crater, The Highlands strikes a perfect balance between a true wilderness experience and a high-style, contemporary escape. Meliá Serengeti Lodge is located in Tanzania within the famous Serengeti National Park and is situated on the naturally terraced southern slope of Nyamuma hills with spectaculars views down into the largely under utilised Mbalageti Riber Valley. This location also offers stunning sunset views over the mountains beyond with an abundant population of resident game as well as the annual migration right through the area. 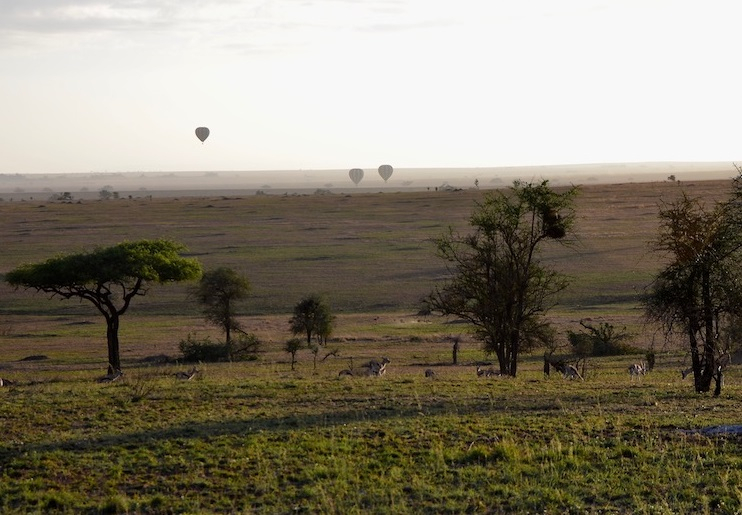 Meliá Serengeti is built on 7000 sqm down from the crest of the hill so as to avoid piercing the skyline but high enough to celebrate the spectacular views. Site utilization: the proposed lodge site consists of three natural terraces descending from the edge of a raised plateau. The development will be sited entirely on the middle terrace. The building will follow the gentle meander of the terrace edge, engaging in an intimate relationship with the natural landscape of existing trees and rocky outcrops. The intensity of this relationship with the site will ensure that guests experience a greater interface between building and bush.